The engine revs freely when a shift to 1st, 2nd, 3rd or 4th gear is commanded. When a shift to 5th gear is commanded, 4th gear is engaged. When a shift to 6th gear is commanded, 4th gear is engaged. 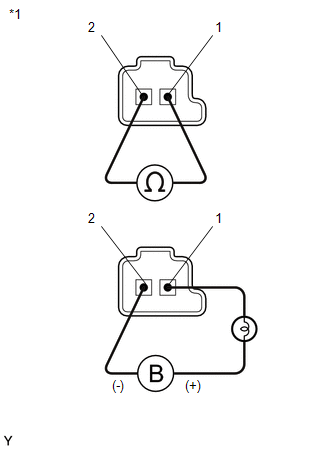 (a) Remove shift solenoid valve SL1 (See page ).